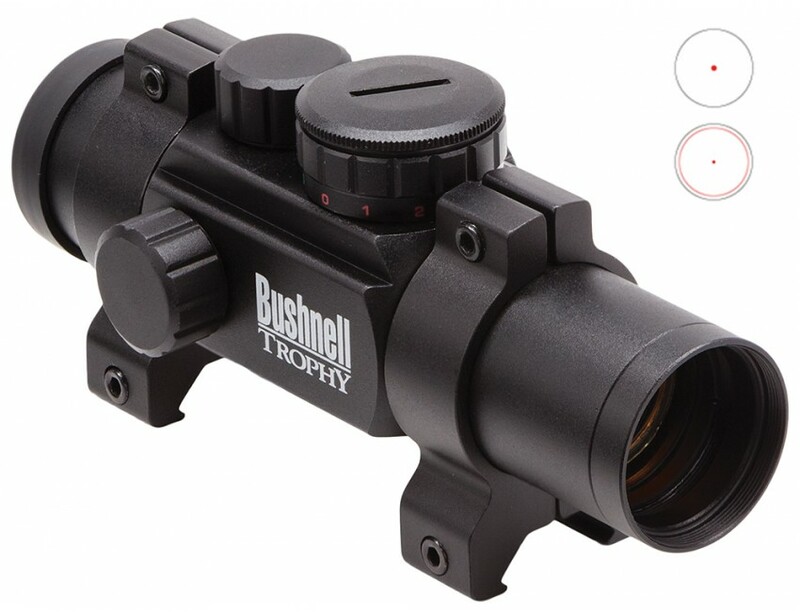 The Bushnell Trophy Red Dot scope has it all. The Amber-Bright high contrast lens coatings help discern deer brown from all the other browns in the woods, and multi-coated optics gather maximum available light when on the prowl at dawn and dusk. Packed with eight different reticle options, this versatile red dot offers a 3 MOA dot, 10 MOA dot, crosshairs, or 65 MOA ring with a 3 MOA dot. All in green for low light or red for bright light. Dry nitrogen-filled, it is 100 percent waterproof, shockproof, and fogproof. This red dot scope also includes the mounting rings.